Private equity firm Mercia says it invested £13.3m in Midlands businesses in 2018, up from £11.3m the previous year. Mercia made investments in 22 companies in the region during the year, including Sigmavision of Bicester which has created a novel tyre scanner; Coventry-based Arc Vehicle, which has developed a new electric motorbike; Birmingham-based battery technology firm Aceleron and Adapttech which has found a new way to fit artificial limbs. 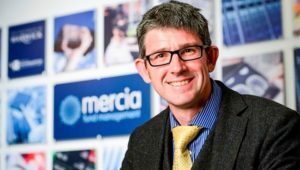 Mercia, which is based in Henley-in-Arden, manages funds including the £23m Proof-of-Concept and Early Stage Equity Fund, part of the Midlands Engine Investment Fund. During the year, the group invested £59.7m in total throughout the UK, with over 90 per cent of it going to businesses outside of London and the South East. It also increased its third party funds under management from £350m to over £400m at 31 December. Mercia now has over 80 employees in eight locations nationwide and partnerships with 19 regional universities including Birmingham, Aston, Wolverhampton, Staffordshire, Coventry, Leicester, Keele, Warwick and Birmingham City University.